Featuring sporty styling, an array of on-road amenities, impressive safety ratings and a powerful engine, the innovative Nissan Altima delivers! Boasting a competitive price and coming standard with Nissan Intelligent Technology, the Nissan Rogue is stylish vehicle option all drivers should explore! 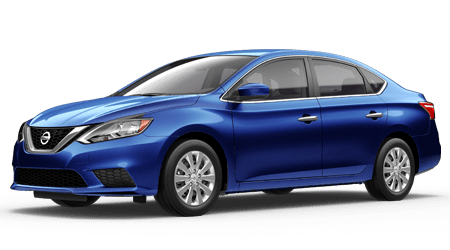 Secure a ride that takes your on-road adventures to a whole new, exciting level, find a new experience in the Nissan Sentra today! 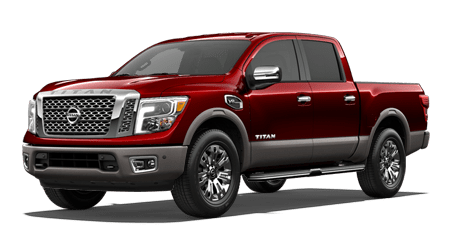 Experience the power of a V8 vehicle today, buy or lease a new Nissan Titan! Our new and used Nissan dealership is eager to learn how we can help you take home a new Nissan. Here at Jones Nissan, our goal is to be your lifelong Nissan dealer. We put our customers first. Tell us about the new Altima you have your eye on. Our sales associates are familiar with all the Nissan models we carry as well as our inventory of used cars for sale. Are you wondering if it's better to buy or lease a new Nissan Pathfinder? Maybe you want to order new Nissan auto parts online. If so, our dealership website if your online resource. 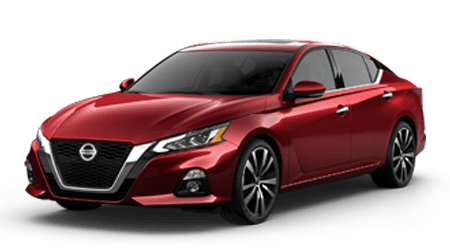 Browse our interactive site to start your search for a new Altima then make the quick trip from Adamsville, TN, Florence, AL, to our nearby Nissan dealer. Our Nissan dealership also caters to drivers who currently drive a new Nissan they love. If you are looking for new wiper blades or need to book an affordable oil change, our service and parts departments are here to assist you. 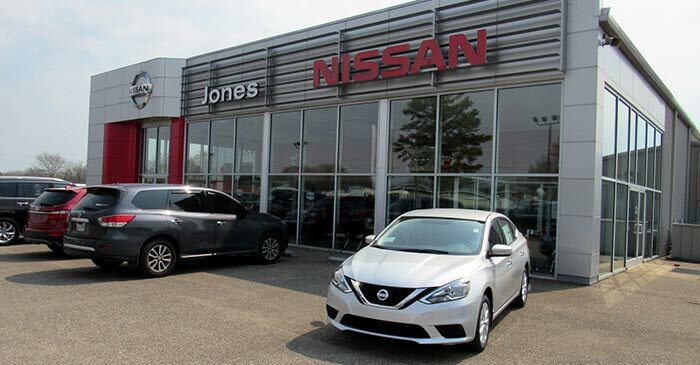 Jones Nissan is a full-service car dealership. We offer a full menu of services for you to enjoy. Our team cares about your needs and the needs of our Savannah community as well. We are proud to support and sponsor many organizations in the area. When you lease your new Nissan Sentra at our dealership, you help us support many community causes, organizations, and initiatives. Visit Jones Nissan today! Why Buy at Jones Nissan? Jones Nissan is here to serve car-buyers on a range of budgets. We invite you to pick out the color of your used Nissan Rogue in person. When you arrive for your test drive, be sure to ask about our alternative credit options for drivers with less-than-perfect credit scores. We are proud to offer an impressive selection of used cars at affordable prices. Jones Nissan is proud to offer the full line of new Nissan models for sale at our Savannah Nissan dealer. Our sales associates are eager to highlight the connected features, safety systems, and warranty benefits that come standard on your new Nissan. From rugged Titan trucks to exhilarating 370Z sportscars to nimble LEAF all-electric cars, there's a new Nissan for you here at our dealership. Visit us for a tailored car-buying experience today! Our Nissan finance department is here to help you secure a lease deal on a new Nissan. The finance associates here can tell you more about your trade-in value and how to sell your car to our dealership. We can go over 24-month versus 36-month finance plans and calculate your monthly finance payment. We offer an online payment calculator to help you find an affordable finance deal. Our new and used Nissan dealership boasts a fully-stocked parts department near Adamsville, TN, Florence, AL. If you are shopping for auto parts to complete an at-home repair, stop by our dealership. We have the synthetic oil and oil filter you need to change the oil in your used Titan XD truck. If you want to install new windshield wiper blades before the rainy season, stop by our parts department. If the battery in your car is failing, we have a full inventory of new car batteries for sale. We carry top brands, such as ACDelco and DieHard. Not only do we stock our shelves with quality OEM auto parts but genuine Nissan accessories as well. For custom truck options, be sure to visit our Savannah Nissan dealer. If you already know which new spark plugs you need, order auto parts online. 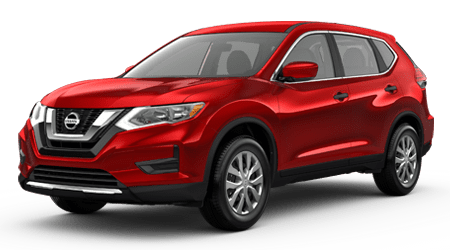 Whether you have your eye on a used Nissan Rogue or pre-owned crossover from a different manufacturer, Jones Nissan wants to help you find an affordable used car. We are proud to offer a used car lot that drivers from Adamsville, TN, Florence, AL, will enjoy. Before any car enters our used car inventory, it receives a thorough, multi-point inspection for quality, safety, and performance. We offer our full used car and truck inventory online for your convenience. Our nearby Nissan dealer specializes in the service Nissan cars, trucks, and SUV. From brake inspections to transmission repair to new car batteries, our service department is here for you. We offer competitive service discounts and install genuine Nissan parts. Many of our professional mechanics are certified to repair the majority of automobiles enjoying our Savannah. Whether you drive a new Sentra sedan or a used compact car from another company, our team will handle your next oil change. Schedule your next auto repair online. Bring your Nissan GT-R in for a quick tire rotation today! Adamsville, TN, Florence, AL, drivers can enjoy the services we offer at our new and used car dealer without leaving their home. Take advantage of our website to compare trim features, apply for Nissan lease deals, or appraise your trade-in value right here on our site. We are proud to be our Savannah Nissan dealer. 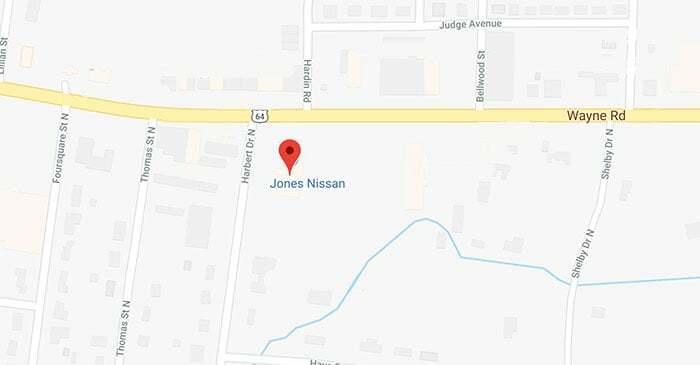 When you're ready to drive a new Nissan off our lot, visit Jones Nissan.